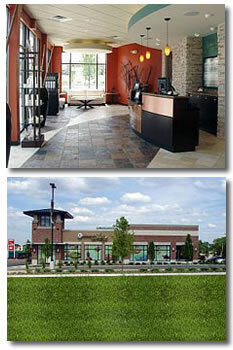 MassageLuxe® is Great for our Franchisees to Own! MassageLuxe franchise distinguishes itself by offering a national brand, consistent quality, products and personalized service. The massage market is broadly divided between local owner operators (small, one-to-five person businesses) that may offer great service, but are too limited in scope, and franchise companies that lack a strong management team. 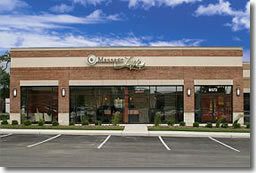 Why Is MassageLuxe A Great Franchise Business to Own? Unique Approach to Massage: You are joining a team that is a pioneer of membership-based personal services. Attractive Membership Pricing Structure: Membership pricing in exchange for an ongoing monthly membership fee is one of our key elements. The membership fee with its automatic payment structure is designed to encourage ongoing member participation and visits, to create a steadier, more predictable sales cycle and to reduce administration time and billing time. Comprehensive Marketing Programs: MassageLuxe franchisees will deploy innovative marketing programs designed to attract clients, to establish a strong referral network and to encourage high client usage and retention. Tactics include radio, TV, direct mail, print, public relations, phone directory, word-of-mouth, in-store and email marketing campaigns. Fully Computerized Operations: We can offer our franchisees "state-of-the-art" management software to coordinate all aspects of the business. This includes scheduling client service to membership and sales tracking to financial management and reporting to the franchisee and the franchisor. 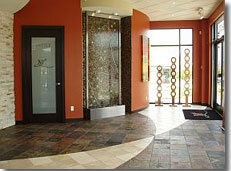 Professional Working Environment: Therapists will appreciate working at MassageLuxe. We provide our professional staff with scheduled and pre-sold massage clients, a professional work environment, linens and supplies and the outstanding physical design of our MassageLuxe salon locations. Multiple Revenue Opportunities: In addition to potential membership service fees, we maximize sales through additional potential revenue centers, including gift card sales, retail sales of massage and related products and special events opportunities. Take the first step to owning your own franchise business and complete our contact information form today. The information provided is confidential and will not be shared with a third party. Our unique "multiple levels of individual membership" model ties massage session quality, comprehensive staffing, compensation, retention, and salon revenue together. At MassageLuxe each client represents a long term relationship that not only represents income to the franchisee and franchisor, but provides additional products and services. The MassageLuxe offering allows the company to be a quality service provider in the massage market, as well as a significant competitor in the industry. We grant an exclusive territory based on various market and economic conditions like population, household earnings and other demographic criteria. The Area Developer will develop 11 individual franchise units, including 1 unit that the Area Developer will own and operate as a Model Salon. The Area Developer pays MLI, LLC an initial fee for the development rights and is paid for each franchise sale within its development area that it includes. The Area Developer shares in both the initial franchise fee from the sale of a unit and a percentage of the ongoing royalty generated from their development area during the term of their agreement. In exchange, the Area Developer provides franchise development and sales, along with ongoing support and services to the franchisees within the development area. An exclusive territory which may vary based on market and economic conditions like population, household earnings and other demographic criteria, will be granted to single unit franchisees. Please take a moment to fill out the short form below to inquire about opening your own MassageLuxe Franchise. Interested parties should have at least $45,000-$60,000 to invest. Click on Request Information button above for FREE information on how to start a MassageLuxe franchise today! Please Note: MassageLuxe franchises for sale, and other franchise opportunities, business opportunities, businesses and franchises for sale on this web site are not to be considered as an "offering", "franchise offering", suggestion or recommendation by GlobalBX. The franchises, businesses and business brokers seen on this web site submit their own individual content. This advertisement depends entirely on the truthfulness of the information provided by our advertisers which includes, but is not limited to, franchisers, franchises, franchise brokers, franchise consultants, business sellers and business brokers. As always, GlobalBX recommends that you consult a lawyer, financial consultant, accountant or professional advisor before buying a franchise or business opportunity or any type of business. By submitting this form and requesting more information, you have agreed to all terms and policies of GlobalBX and the business and franchise offerings listed here. Please review our Terms & Conditions for more information.